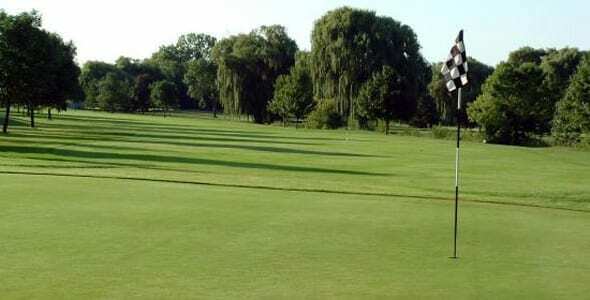 Buffalo Grove Golf Club is a challenging par 72 18-hole golf course that can play up to 6,600 yards from the tips. The course is full of bunkers, water and trees, placing a premium on solid driving. Buffalo Grove Golf Club offers more than a few chances for birdie, especially on the front nine. However, you really can’t get too aggressive unless you’re long and straight off the tee. The middle or white tees at Buffalo Grove Golf Club play to nearly 6,400 yards, which is actually a solid challenge for most mid-level handicaps. This stiff test can sometimes cause play to slow down a bit on the weekends. However, the rangers and course staff are normally pretty good at keeping playing moving. Along with 18 challenging holes is popular The Village Bar and Grill. You can eat before, during or after playing golf choosing from a nice menu. The course offers seasonal passes, golf clubs for rent and there is a fully staffed pro shop. No matter what your golfing needs, you will be able to find it at the golf shop. Anything from golf shoes to golf clubs and clothing can be purchased.